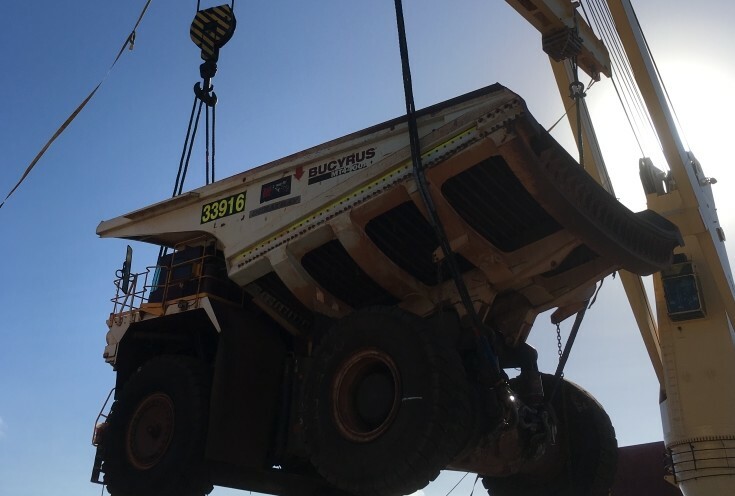 The NSS Mackay stevedoring team this month unloaded four Bucyrus MT4400A dump trucks, destined for Bowen Basin mining operations. The trucks came from Port Hedland aboard the BBC Scandinavia in early April. Large swells delayed the commencement of the clinical heavy lift discharge operations, however that didn’t stop the 211-tonne trucks being safely unloaded in Mackay.